Juventus Turin and Real Madrid will be playing in the Champions League Final on Saturday. Both sides proved that they are currently the best teams in the world and everybody is waiting for the match of the year. We have taken a look at the best betting offers for this match. 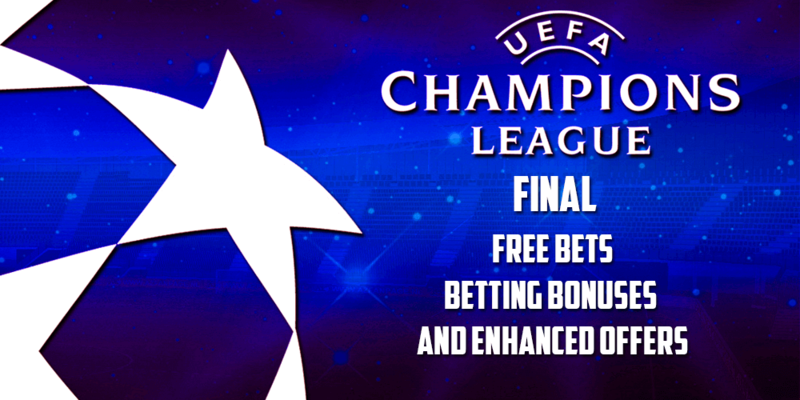 Check our review of the best Champions League betting bonuses, free bet offers, and enhanced odds. Additionally, feel free to check out our free betting preview of the upcoming match. We have a great track record of providing high value betting picks and this one should be no exception! There are plenty of different sports betting bonuses. However, not all of them are suitable if you want to bet on the Champions League Final. We collected the best offers for the upcoming match and for football bettors in general. The bonuses shown below can also be used to bet on all other football events and matches. The best betting bonus for the final is provided by Bet365. 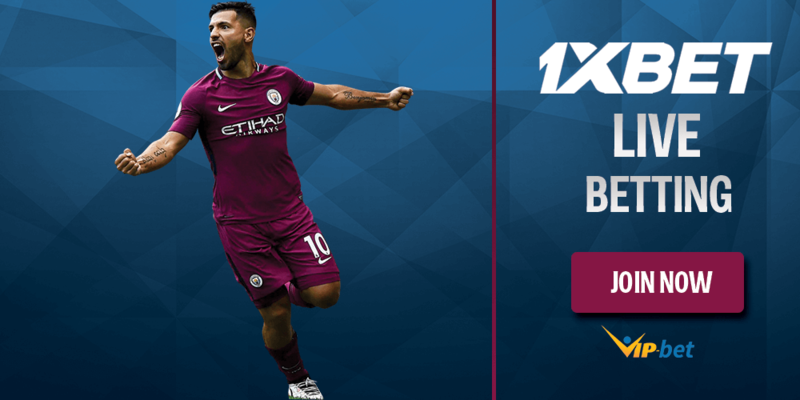 You get Get 100% up to £200 on your first deposit when signing-up with one of the most popular bookies in the world. The Bet365 bonus is really easy to play through and therefore great for experienced punters and beginners alike. Besides that you will have plenty of time to meet the turnover requirements, which is great in terms of customer service. Claim Your £200 Bonus Now! Betfair has recently added a new sports betting bonus to its website. New customers can claim a 100%, up to £100, bonus on their first deposit. Keep in mind that this bonus only applies to the Betfair sportsbook. Alternatively, you can choose the standard Betfair welcome offer. It provides you with £20 in free bets if you bet £20. It’s a great offer for customers who want to place a single bet on the Champions League Final – and it’s great for casual bettors in general. Claim Your £100 Bonus Now! Paddy Power provides their customers with £30 if they decide to sign up with Ireland’s most popular bookie. They are also running an incredible amount of sports betting promotions on a daily basis. You can benefit from regular prize boosts, acca bet promotions, and much more. In order to take advantage of the Paddy Power free bet you only have to bet £10 on the Champions League Final at odds of 1.50 or greater. Afterwards you get rewarded with £30 in free bets – a great deal overall! Claim Your £30 Free Bets Now! Betfair and 888Sport provide you with a great selection of enhanced odds for the upcoming match. The enhanced odds offers displayed below are available to new customers only. Betfair offers you 10/1 on Real Madrid to win the Champions League Final and 12/1 on Juventus Turin to take the trophy home. There is a maximum stake of £10 which means that you would make a total of £120 if you bet £10 on Juve and they end up winning the title. 888Sport also heavily enhanced its odds for the Champions League Final. They offers you odds of 7/1 on both teams to win the title. There is a maximum stake of $10 for this offer. You can check all currently offered enhanced odds in our enhanced odds area. If you are looking for expert betting tips for the Champions League Final, make sure to check out betting preview. 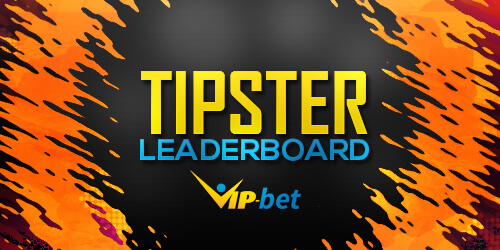 We provide you with free information and tips for tomorrow’s match. Champions League Final Betting Preview. 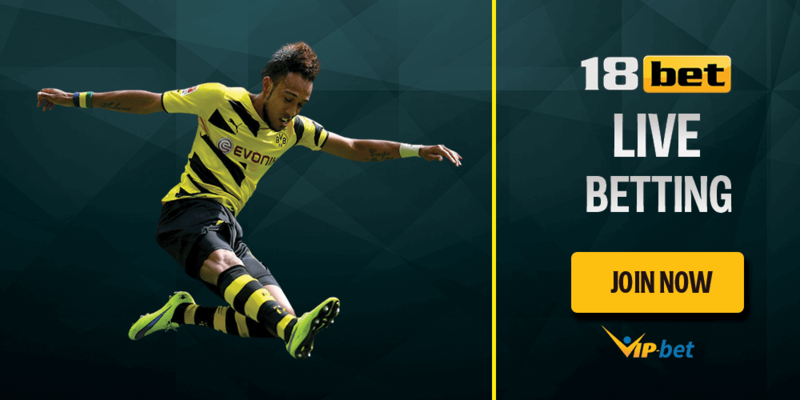 18Bet Live Betting lets you place bets on on-going events at decent odds. 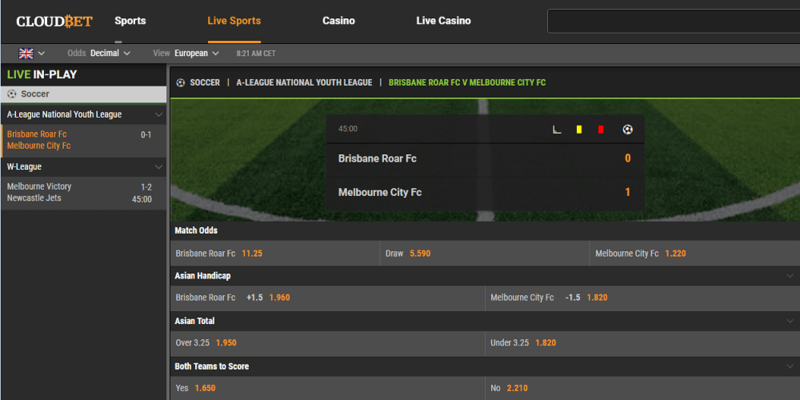 The bookmaker offers several interesting in-play betting markets to choose from and even live streaming coverage. There are lots of 1xbet live betting markets. The bookmaker is offering up to 47 different kinds of sports and hundreds of betting options for most of their events. 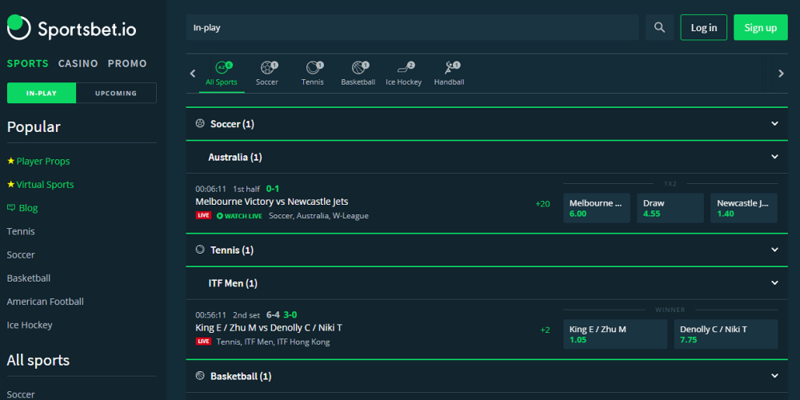 Cloudbet In-play betting - This bitcoin sports betting sites is charging exceptionally low commissions and offers a huge amount of sports and betting options. Sportsbet.io provides a lot of in-play betting sports and betting options. Check our full review and get find out why you should sign-up.